Commonwealth Professor of Psychology at Virginia Commonwealth University, the world’s leading authority on the scientific study of forgiveness, and author, Forgiving and Reconciling and Moving Forward: Six Steps to Forgiving Yourself and Breaking Free from the Past. The partial truth about us is hard to accept: We hurt those we love. We fail to step in when others need us most. We do wrong—and we need forgiveness. From others and from whatever form of God we recognize, but also from ourselves. But the full truth about us is liberating and freeing: While we are more deeply flawed than we can imagine, we also are far more valuable and cherished than we can comprehend. To reach the place of self-forgiveness, we must embrace this truth. The gift of acceptance from self or a higher power can free us from self-blame, guilt, and shame. 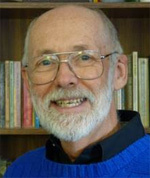 Through his work with the Templeton Foundation Campaign for Forgiveness Research, his training as a clinical psychologist and personal experience with emotional trauma, Dr. Worthington created the REACH method for emotional forgiveness, an intervention designed to help people reach emotional forgiveness (which is not the same as the decision to forgive). Forgiveness does not condone or excusing the behavior that caused harm or hurt, does not require forgetting what happened, and might be only one step in reconciliation—it that happens. The REACH intervention described in Moving Forward has been tested with positive results in more than 20 controlled scientific studies. E is for “empathize”—replace unforgiveness with empathy by trying to understand the viewpoint of the person who wronged you. C is for “committing”—publicly forgiving the person who wronged you. H is for “holding on through doubt”—not forgetting the hurt, but reminding yourself that you made the choice to forgive. And what are the benefits of forgiveness, as outlined in Moving Forward? Research suggests that those who achieve decisional and emotional forgiveness are able to reduce stress (with lowered cortisol levels) and realize better health through a better functioning immune system and reduced risk of cardiovascular events. In addition, forgiveness allows us to create better relationships and reduce the negative ruminations that can result in poor mental health. 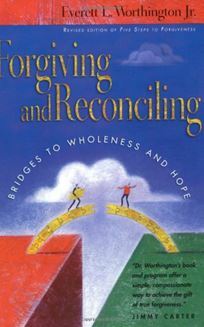 Another earlier Christian-oriented book by Dr. Worthington, Forgiving and Reconciling: Bridges to Wholeness and Hope, is built on over twenty years of research helping people to REACH forgiveness. It tells the story within its pages of the murder of his mother and how he forgave the murder. 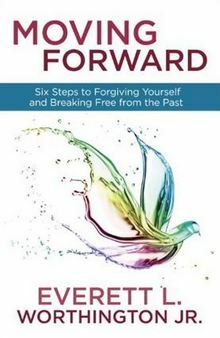 Moving Forward: Six Steps to Forgiving Yourself and Breaking Free from the Past builds on practical help forgiving ourselves and on research, but it also continues his personal story by describing how he dealt with his own self-condemnation following his brother’s suicide. In 2005, Dr. Worthington published a revised edition of Hope-focused Marriage Counseling (InterVarsity Press, 2005), which is aimed at couple counselors helping people to (1) communicate and resolve conflicts better and (2) forgive and reconcile. The Hope-Focused Marriage Enrichment has been adjudicated to be one of four empirically supported treatments for marriage enrichment. His most recent book is with Jennifer Ripley, Couple Therapy: A New Hope-Focused Approach (IVP, 2014). This is a practical applied counseling book for professionals (but is still useful by couples who wish to improve their marriage). It has over 100 new interventions not among the 200 or so interventions in his 2005 book, Hope-Focused Marriage Counseling. Another recent book is Humility: The Quiet Virtue (Templeton Foundation Press, 2007; book and audio CD), which is a collection of quotes on humility built around a personal narrative of his heroes of humility and headed by the story of his mother-in-law who is dealing with progressive dementia. 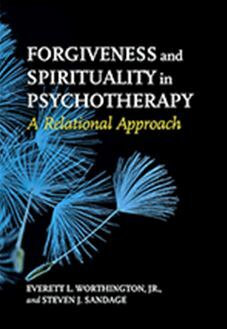 For professional counselors and therapists, Dr. Worthington has written Forgiveness and Reconciliation: Theory and Application (Brunner-Routledge, August, 2006), which explains his stress-and-coping theory of forgiveness, describes his psychoeducational programs to promote forgiveness and reconciliation, and discusses his model of psychotherapy to help people REACH forgiveness. Handbook of Forgiveness (Brunner Routledge, 2005), an edited collection of reviews of research from the top researchers in the world representing the state of the science, summarizes research on applied and basic understandings of forgiveness. Everett Worthington, Ph.D., (Everett, or “Ev”) is Commonwealth Professor of Psychology at Virginia Commonwealth University (VCU, in Richmond, VA), and has served as chair of its huge psychology department, overseeing both undergraduate and graduate levels. In 2009, he won VCU’s Award for Excellence, an annual top award in recognition of teaching, research, and service at the university, and in 2015, he was awarded VCU’s top honor, Commonwealth Professor. In 2016, the State Council of Higher Education in Virginia recognized him as one of 13 Outstanding Professors in the Commonwealth. Everett is a Licensed Clinical Psychologist in Virginia, and is director of VCU’s Marital Assessment, Therapy and Enrichment Center. Born in Knoxville, Tennessee, Everett attended the University of Tennessee in Knoxville and was awarded an undergraduate degree in nuclear engineering in 1968. He went on to study at MIT on an Atomic Energy Commission Special Fellowship, then served as a Naval Officer on active duty from 1970 to 1974, teaching nuclear physics at the Naval Nuclear Power School. But he shifted directions completely to attend graduate school in counseling psychology (from 1974 to 1978) at the University of Missouri-Columbia, where he received his MA and PhD degrees. Everett is a Past-President of the American Psychological Association (APA) Division 36 (Society for the Psychology of Religion and Spirituality), and a fellow of the Association for Psychological Science and two divisions of the APA. 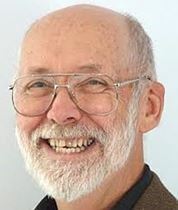 He has also won top awards in other professional organizations: American Association of Christian Counselors, Christian Association for Psychological Studies, Society for Counseling Psychology Health Psychology Award and Elder Recognition for Lifetime Contributions to Counseling Psychology, and Society for the Psychology of Religion and Spirituality. He was awarded a Doctorate of Humane Letters from Pepperdine University in 2014. Everett has published 35 books and about 400 articles and scholarly chapters, mostly on forgiveness, marriage, and family topics. He originally became interested in forgiveness through his practice in couple counseling, began writing about its clinical uses in the 1980s, and then started conducting research about 1990. In the last 30+ years, he has studied forgiveness, justice, faith, altruism, love and mercy, reconciliation and marriage enrichment, and a variety of virtues that fall under the general rubric of positive psychology. After the senseless murder of his widowed mother in 1996, Everett began thinking about how the practice of forgiveness relates to justice, faith, and virtue—a main theme of his recent work. He was finally able to forgive the murderer, as did his brother Mike and sister Kathy, in part by considering that forgiveness as a legacy that their mother passed to them. However, the emotional fallout was devastating, particularly to his brother, who had first discovered their mother lying in pools of blood, beaten and violated. Nine years later, in 2005, Everett’s brother committed suicide. Everett drew on his own feelings of guilt and self-condemnation over his failings in his relationship with his brother, and broadened his research on forgiveness to the study of self-forgiveness. A strong, enduring Christian faith and viewpoint is reflected in Everett’s writing, where he integrates religion and spirituality with research-based psychological evidence and anecdotal information. He has also developed and studied the effectiveness of psychoeducational groups in secular milieus to help people deal with negative effects of unforgiveness across a variety of relationships. Everett lives in Richmond, VA with his wife of over 45 years, Kirby, who as a child development and parenting specialist leads workshops and authors books on parenting and children. Everett and Kirby have raised four now-adult children, who have been scattered around the world in such places as Bahrain, Scotland and Ireland, and Moldova involved in work, humanitarian, and educational pursuits. In the last 5 years, they have all returned to settle in the Eastern United States, and there are now 5 grandchildren in this extended family. Everett and his wife enjoy hiking together and have provided the model for adventurous world travels, sharing their professional work and visiting or living in Europe, the United Kingdom, Asia, and Africa.